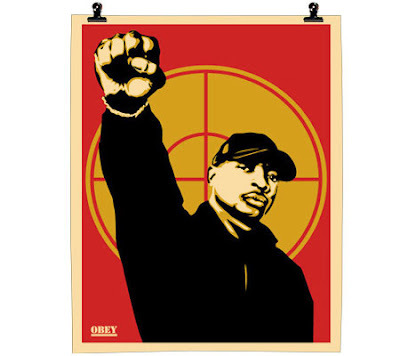 On a more somber note, I spoke with Chuck D the other night for a long time about the significance behind this project. He explained that as soon as Brown passed away last Christmas, he thought about doing a tribute album. What surprised him was over the past year was seeing that no other group had come forth to do something similar. To date the PE project is the only tribute album. 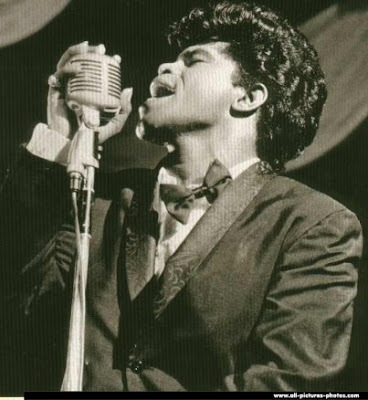 Chuck pointed out James Brown's legacy has pretty much been obscured when you consider the impact he's had on music and his global appeal. He noted how other pioneering rock icons like Elvis and the Beatles are celebrated while Black music icons like Brown and Curtis Mayfield who also passed away several years ago in late December are pretty much forgotten. This oversight and lack of celebration is not by accident, but instead indicates a larger problem within the Black community where history is discouraged and downplayed. It seems to be a continuum of the edict applied to Black folks when we first brought over to this country, which was to strip away and erase one's cultural heritage. The lack of knowledge of our musical history is a microcasm for what is going on in the larger society. For example, today the average African American 18 year old not only knows more about Souljah Boy and his new dance than he does James Brown, but he probably couldn't care less about the Godfather of Soul's immense contributions. That attitude may extend to a dis-interest in political and social history. So he may not know about James Brown, the Black Panthers, SNCC or the local heroes and sheroes who paved the way for him.